Has there ever been a weirder political issue than gay marriage? A cool-headed look back at events in Britain last week, where David Cameron’s gay marriage bill was passed in the House of Commons, suggests, no, there hasn’t been. Think about it. Here we have politicians who have little commitment to the idea of rights (Cameron’s Tories) offering to expand marriage rights to people who have never traditionally wanted to get married (gays), and they have been cheered on by liberal commentators who think marriage is a naff institution (“Marriage is no more than a mystical word,” said one fulsomely pro-gay marriage columnist on the day of the Commons vote). And yet all of this political freakiness, this bonkers expansion of marriage by those who don’t much care for it to those have never needed it, is treated as perfectly normal by observers. More than that, it is depicted as a glorious moment in human history, on a par with blacks in America winning civil rights or women getting the vote. Has the world gone mad? I hope so, because otherwise I definitely have. Nothing in Britain’s gay marriage debate adds up. For example, we’re told the passing of the gay marriage bill is an historic victory for the brave gay activists who despite being mocked as perverts and poofs took part in London’s first gay pride parades in the 1970s. Yet this fantastically overlooks the fact that those marchers denounced marriage and the family as “patriarchal prisons” that “enslave women, gays and children”. For all the harebrained attempts to doll up the passing of the marriage bill as the endpoint to 50 years of gay agitation, the truth is early gay radicals campaigned against marriage, not for it. 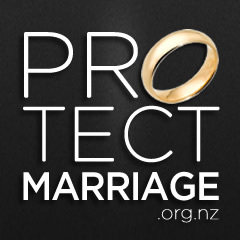 Marriage is a “rotten, oppressive institution”, said the 1970 Gay Manifesto. Homosexuals are “in revolt against the nuclear family structure”, said the influential Gay is Good tract of 1972.